Cleo Canada Black Friday 2014 Sales and Deals! On Black Friday November 2014 only, you can shop at Cleo Canada and enjoy their Hot Black Friday Canada 2014 Sales and Deals! There are some super hot Door Crashers during this Cleo Canada Black Friday 2014 offer - these hot sales include: Pashmina Scarves for only $10 as well as select scarves and handbags for only $19.99! You can get the best accessories for only a fraction of the regular cost this Black Friday Canada 2014 at your local Cleo Canada store. Wait, it gets better! Not only can you enjoy these hot doorcrasher sales and deals, but you will also enjoy other discounts at Cleo during their Black Friday Canada 2014 offers! You can save 50% off of the entire store, excluding door crashers. You can also save 70% off of the original price on all Fall clearance items! Don't miss these hot Cleo Canada offers that are coming on Black Friday November 28th, 2014! 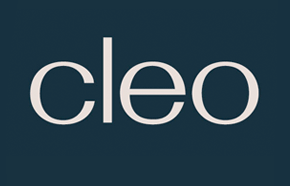 Click here to shop at Cleo Canada during their Black Friday 2014 Canada Sales and Deals. Cleo Canada has a great new Pre Canadian Black Friday Sale! Plus you can enter the coupon code SHIP4299 at the check out process and receive shipping for only $2.99 during this Cleo Canada Early Black Friday Promotion! Click here to shop at Cleo Canada Online and start enjoying the Canadian Black Friday Sales and Deals 2014.